Crazy. There is a month to Easter. A month, 4 weeks all that jazz. So much to do. I tried booking a camping trip last week for the Easter long weekend and found that 90% of the state is booked out. And by booked out I mean…that’s been the case since last Easter when they all rebooked. So we’ve booked with another family in the Upper Hunter Valley and that got me all excited and ready to do my first Easter lunch. I haven’t picked favourites this week, instead I’m scheduling them all to go up on facebook over the next few days. 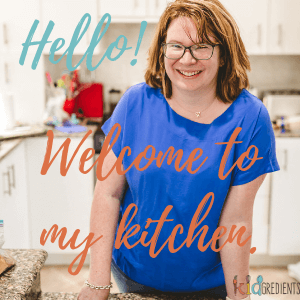 Every Wednesday, you can look forward to finding the best kids kitchen ideas, easy healthy recipes for your family, and even learning and sensory activities for kids involving food! We will check out every link and feature our favourites the following week, if you’re looking for some quick inspiration! Bloggers linking up, here is what you need to know. I hope you find great inspiration here, and be sure to check out my awesome co-hosts — especially their pinboards! BLOG | Facebook | Pinterest | Twitter | InstagramVisit Shannon Carino’s profile on Pinterest. BLOG | Facebook | Pinterest | Twitter | InstagramVisit Grace @ Eats Amazing’s profile on Pinterest. BLOG | Facebook | Pinterest | Twitter | InstagramVisit Jennifer Tammy’s profile on Pinterest. BLOG | Facebook | Pinterest | Twitter | InstagramVisit Kylie Archer’s profile on Pinterest. Thanks for the opportunity to link up Kylie! I’m still getting over Christmas can’t even imagine easter! First time linking here! Thanks for having me! Yay! Hi Jody, glad to have you!